The running back might be done for the season after possibly losing consciousness in Sunday's game. We break down the fantasy implications. Cleveland Browns running back Willis McGahee is no lock to return to the field this season, said head coach Rob Chudzinski. McGahee might have lost consciousness when he suffered a concussion in Sunday's game against the New England Patriots. McGahee has rushed for 377 yards and two touchdowns on 138 carries this year, an average of only 2.7 yards per carry. He was signed to the roster just before the team's Week 3 game after the Browns traded starting running back Trent Richardson to Indianapolis. McGahee's backup, Chris Ogbonnaya, has 224 rushing yards and 291 receiving yards on the year, averaging 5.3 yards per carry and also scoring two touchdowns. The team has also signed Edwin Baker, who was drafted in the seventh round of the 2012 draft, but has yet to appear in an NFL game. He has been with the San Diego Chargers, Denver Broncos, and Houston Texans before joining Cleveland. Fantasy impact: McGahee had played himself well out of fantasy usability with his rough performance this year. The Browns play the Chicago Bears Sunday, which in theory shaped up as a chance at a big game, with the Bears struggling mightily against opposing running backs all season. It seems pretty likely that, even if McGahee does return at some point this season, the chances of him playing in Week 15 are vanishingly small, and he's not worth holding onto on the off chance he does return eventually. Meanwhile, Ogbonnaya will likely be Cleveland's starter against Chicago. Ogbonnaya has been moderately productive a few weeks back, before lost fumbles in consecutive games negatively impacted his playing time. With McGahee sidelined, though, and a nice matchup, Ogbonnaya could be a low-end desperation play in Week 15, especially in PPR leagues, as Ogbonnaya has caught multiple passes nine times this season. Baker is nothing more than an insurance play for Cleveland, and the only people who have any use for him in fantasy are his parents and best friend. FLORHAM PARK, N.J. – Ed Reed missed practice on Thursday after coach Rex Ryan approached him and said he thought the extra rest would help the New York Jets safety on Sundays. Those days off of practice for veteran players – in the past for LaDainian Tomlinson and LaRon Landry – are a staple of Ryan’s maintenance plan, and he sometimes likens it to having players on a pitch count. “Sometimes you’ve got to give Nolan Ryan a break,” Reed said with a smile. Reed actually said he didn’t like the idea of sitting out a practice, just because he is used to getting those reps, but that he understood the reasoning behind it. Will Giants safety Antrel Rolle be a cap casualty in 2014? Aside from the long list of impending free agents, the Giants have other major decisions to make in the upcoming offseason. As they look to reshape their roster for next year, there are more than a handful of high-priced veterans who enter the equation. The Giants will have to decide which players to release, which contracts to restructure for the future. Some choices will be easy; others will be more complex. There is a lot more that goes into these decisions than on-field production. Salary, age, direction of the team, dead money if released prior to the 2014 season – these are all factors that enter the equation. Each player knows their own personal situation. "I’m aware of my contract," tight end Brandon Myers said. "I know it’s void after this season. It was basically a one-year deal. I feel I’ve always had to prove myself. It hasn’t changed. You have to keep performing." The feeling is these last three games could influence the decision. They matter for players' futures. Breakdown: This has little to do with Rolle's play. It can be argued that he's in the midst of the best season of his career. The problem is that if the Giants decide to rebuild or overhaul their systems, a 31-year-old being paid as a Top 5 safety might not make sense, even though Rolle is a valuable leader on the field and in the locker room. The Orioles received Minor League catcher David Freitas from the A's on Thursday, completing the Dec. 2 deal that sent closer Jim Johnson to Oakland for second baseman Jemile Weeks. The 24-year-old Freitas hit .231 with 14 doubles, seven home runs and 30 RBIs in 90 games for Oakland's Triple-A and Double-A affiliates last season. Freitas, a right-handed hitter, was originally selected in the 15th round of the 2010 First-Year Player Draft by the Nationals. He is a .276 career Minor League hitter in four seasons. It may be the MLB offseason, but former Oakland Athletic Jemile Weeks is hard at work in the Orlando, Fla. community he calls home. While other players are resting comfortably, Weeks—recently traded to the Baltimore Orioles—decided to give his time to others. In conjunction with the town of Eatonville, Fla., Weeks' charity organization WeFam LLC will host "Christmas on the Boulevard." From 12 p.m. to 5 p.m. ET on Saturday December 21, residents of Eatonville and members of the surrounding communities are invited to attend Robert Hungerford Prep High School for an afternoon of activities that includes meet and greets with Weeks and other athletes from the area. In a phone interview, Weeks said that in this day and age, it's important for people to come together through events such as these. This is a way to show the people that there is still hope, faith and charity in our communities. [The purpose] is to spread charity and love at a time I think it’s needed. That’s the overall goal. It’s really to touch the hearts of the people and give them the feel of hope and charity. Those who attend will be treated to games, crafts, live entertainment, a raffle and more, all of which are completely free. And of course, no Christmas event would be complete without a tree lighting and the opportunity to sit down with Santa Claus himself. But Santa won't be the only celebrity in attendance. In addition to Jolly Ol' Saint Nick, Weeks' older brother Rickie of the Milwaukee Brewers and other athletes with ties to the Orlando area such as Dee Gordon of the Los Angeles Dodgers and Nick Franklin of the Seattle Mariners will be on hand. In fact, Weeks hopes to have nearly a half-dozen pro athletes stop by the event. On peers helping him spread the message of hope, Weeks said "I told them I was putting together a charity event and they jumped on board." About 400 people are expected to attend Christmas on the Boulevard, though Weeks sounded optimistic that the number could be closer to 1,000. "This is strictly for the people and about the people. It’s about having the purest form of charity being shown and I want them to know what I represent and what WeFam LLC represents," Weeks said. If successful, Christmas on the Boulevard could become an annual event. Likewise, he created WeFam LLC to continuously host community events such as this. Weeks intends to use the organization to "empower communities," through the use of sports, entertainment and music. If you would like to get involved with Christmas on the Boulevard or WeFam LLC, donations will be possible through Facebook or via telephone. Visit the event's Facebook page for more details. NASHVILLE, Tenn. — The Tennessee Titans have filled the spot on their practice squad by signing defensive end Adewale Ojomo. The 6-foot-4 Ojomo spent last season with the New York Giants and played in one game. The Giants waived Ojomo after training camp, and he has been on the practice squad with the Giants, Seattle and Buffalo this season. 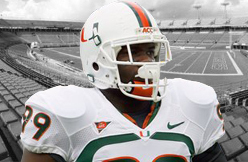 Ojomo played three seasons in college at Miami. The Titans had an open spot after promoting receiver Michael Preston to the active roster last weekend. The 8-5 Indianapolis Colts have looked vulnerable of late, and much of that can be contributed to the loss of Pro Bowl wide receiver Reggie Wayne. Wayne tore his ACL and Meniscus in a non-contact injury in a Week 7 win against the Denver Broncos. The injury is a major hurdle for the potential Hall of Fame wide out, as the seriousness of the injury, coupled with his age (36), represents a difficult path of return. "I doubt I'll participate (in OTAs)," Wayne said on Tuesday. "I got to do it right. Training camp is the goal." The Colts are fresh off a 42-28 loss to Cincinnati that saw their defense allow 430-yards of total offense. The secondary has been decimated by injuries, most notably the lingering groin injury of cornerback Gregory Toler. Toler has missed seven straight games, but will likely to test his tender groin in the warm and sheltered confines of Lucas Oil Stadium this Sunday against division rival (is this still considered a rivalry?) Houston. Wayne will be needed on the sidelines for more than just motivation, as the 13-year veteran will factor into the "coaching up" of certain players, primarily wide receiver Da'Rick Rogers. Wayne has been pleased with his progress, and has stated that he will assist with his growth in any capacity. With wide receiver T.Y. Hilton struggling to separate against the increased amount of defensive attention, any contributions from Wayne will be a welcome addition. For now, Wayne is rehabilitating in Miami, and is taking the necessary steps to ensure a healthy and satisfying 2014 season. Considering the recent cases of Jordan Reed and Rashad Jennings, you know not take too much away from a Wednesday practice report regarding a concussed player. But it is worth noting that Dolphins running back Lamar Miller , who suffered a concussion in Week 14, was healthy enough to put in a full practice Wednesday. Daniel Thomas should be scooped up if you are looking for a lottery ticket at running back this week. The Dolphins are at home against the Patriots, who have been very generous opposing running backs recently. I'd throw out last week's effort against the Browns since they can't run the ball. If Miller doesn't experience any reoccurrence of concussion symptoms, he will likely be the Dolphins' lead back. If he is out, Thomas would fall into that starting role, one week after topping 100 yards versus the Steelers. Basically, whoever starts here for Miami is a nice flex option. Cleveland Browns veteran running back Willis McGahee suffered a concussion in Sunday’s loss to the New England Patriots after being hit in the head by middle linebacker Brandon Spikes in the fourth quarter, and he isn’t practicing today, per head coach Rob Chudzinski. McGahee’s status for this week’s game is totally up-in-the-air as a result of the concussion, and the 32-year-old will have to pass all of the league’s concussion tests in order to take advantage of a terrible Chicago Bears run defense this week (Lance Briggs isn’t expected to be back this week either). McGahee’s status might not just be questionable, though, and it sounds like there are major doubts about whether or not he can suit up for this week’s game. According to ESPN NFL Nation’s Pat McManamon, McGahee “seems very doubtful” to play this week, and that’s enough to make me believe that McGahee will most likely be out this week. It makes logical sense, since he is an older player and has been ineffective anyway; McGahee’s injury gives the Browns more incentive to look at Fozzy Whitaker and Chris Ogbonnaya. Plus, that’s assuming that McGahee is even remotely healthy enough to play this week, since his health is still squarely in question. Keep an eye out for more updates regarding his status and even though McManamon isn’t referencing a source or anything, I highly doubt he’s speaking off-the-cuff either. McGahee doesn’t seem likely to play this week, and I think Ogbonnaya and Whitaker are going to be two intriguing players to watch for this week against a porous Bears run defense. New Orleans Saints QB Drew Brees and TE Jimmy Graham rank in the top 10 of NFL All-Stars in balloting for the 2014 Pro Bowl with two weeks left to vote, the NFL announced Wednesday. Brees ranks second overall (934,772) and Graham ranks seventh (625,674). Fan voting for the 2014 Pro Bowl, presented by McDonald’s, will continue online and on web-enabled mobile phones by going here until 5 pm CT on Thursday, December 26. Denver Broncos QB Peyton Manning, with 1,093,691, currently leads Pro Bowl voting. Seattle Seahawks running back Marshawn Lynch (745,286), Kansas City Chiefs running back Jamaal Charles (739,971) and Detroit Lions wide receiver Calvin Johnson (739,701) round out the top five in fan votes. Graham leads the team in receiving with 74 receptions for 1,046 yards (14.1 avg.) with a team-record 14 touchdowns, which leads the NFL both in scoring grabs and scoring among nonkickers (84). Pro Bowl balloting will conclude on Thursday, December 26, just three days prior to an exciting slate of Week 17 NFL games. The Pro Bowl players will be announced on Friday, December 27. The Giants are looking, scrounging, for anything that makes Sunday's matchup with the NFC's top team meaningful in their eyes. They've mentioned pride, professional obligation and respect to the organization that still pays them every week. 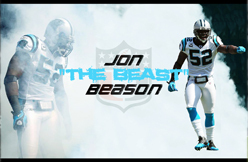 Middle linebacker Jon Beason mentioned something a little bit outside the box on Wednesday. He brought up that a win over the Seahawks is one they can build on into next year. Beason brings up a good point. The Giants haven’t beaten anyone notable this season. Their wins over Philadelphia and Green Bay came with Matt Barkley and Scott Tolzien, respectively, at quarterback. Victories over the Vikings, Raiders and Redskins look worse every week. If the Giants are able to beat the Seahawks, it will be their first quality win of the season. It would also be a major upset. The Giants enter the contest a seven-point underdog. It’s interesting. Every Giants player seems to be approaching Sunday’s matchup with the Seahawks at MetLife Stadium with a different viewpoint. Defensive end Justin Tuck is trying not be embarrassed and made a laughingstock in his home stadium. Beason is looking for a signature win. Sometimes, when a team finishes a season strong it carries over into the following year. The Giants could be next season's Carolina Panthers. The Panthers won their final four games last season in a 7-9 season and are now considered one of the NFC's best teams. 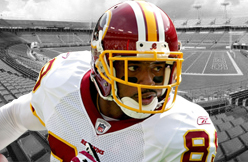 Before word began circulating that Kirk Cousins was almost certain to start Sunday’s game in Atlanta, Santana Moss was asked about such a possibility. During his weekly appearance with LaVar Arrington and Chad Dukes on 106.7 The Fan, Arrington — who strongly opposes such a move — asked Moss what that would say to the locker room. That was surprising. After some counter punching from LaVar, Moss said he could see both sides. Regardless, he can clearly see the flames lapping at Redskins Park. Dukes asked him where this season’s madness ranks amid all the dysfunction he’s seen since joining the Redskins. 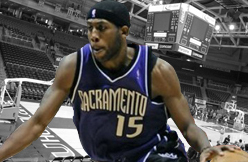 Finally a Raptor, John Salmons hopes Toronto fans don’t have any hard feelings. Back in 2006, Salmons a versatile swingman, famously backed out of a five-year, $23 million sign-and-trade deal with Bryan Colangelo’s Raptors, saying his faith urged him to sign elsewhere. He then inked a similar contract with the Sacramento Kings. “In a very stressful and tough decision, he decided he could not accept the opportunity to play for the Raptors, even though he was excited about the prospect of being in Toronto,” agent Joel Bell said at the time. Salmons, traded to the Raptors as part of the Rudy Gay deal earlier this week, said the 2006 decision was difficult. “I had a couple options on the table (he also turned Phoenix down). I just felt like it was a thing where I relied on my faith. I felt it wasn’t the place for me to be at the time,” Salmons said Wednesday. The Raptors settled for Fred Jones and went years trying to find a competent swingman (Jason Kapono came the next year) after missing on Salmons. Only $1 million of Salmons’ contract is guaranteed for next season and he is a prime candidate to be dealt by the trade deadline in February. For now though, he’s happy. “It’s a great opportunity. It’s a great situation. It’s a chance to make the playoffs. We’re right there, a couple games behind first in the Atlantic,” Salmons said. Some of the teams talking to Chris Perez are discussing him in a role other than closer, Paul Hoynes of the Cleveland Plain Dealer hears. Perez has primarily served as closer in his six-year career, registering at least 23 saves in each of the last four seasons. But the 28-year-old struggled to a 4.33 ERA last season and was outright released by the Indians following the season. The Mets and Orioles are two teams who have been linked to Perez in recent days. The Bills activated defensive back Jonathan Meeks from the injured reserve/designated to return to the 53-man roster and released linebacker Jamaal Westerman. Meeks, a fifth-round pick last April, went on injured reserve Oct. 14 but returned to practice Nov. 25. The Bills also signed receiver Brandon Kaufman to the practice squad after cutting receiver Tommy Streeter. Kaufman, 6-foot-5, was a rookie free agent from Eastern Washington who was released by the Bills before the regular season. He had 3,731 yards and 33 TDs in college. DAVIE, Fla. -- The Miami Dolphins received some good news when starting running back Lamar Miller returned to practice on Tuesday. Miller received a concussion in the third quarter of Sunday’s victory over the Pittsburgh Steelers. Miller’s status for this week against the New England Patriots remains up in the air. However, Miller was at least limited in the portion of Tuesday’s practice open to the media. Dolphins backup tailback Daniel Thomas filled in admirable for Miller against Pittsburgh. Thomas rushed for a season-high 105 yards and a touchdown. Miller must pass all the concussion tests this week in order to return to the field Sunday against New England. While his Indianapolis Colts teammates chase a first-round bye, Reggie Wayne is going about the business of getting back to full health. The veteran wide receiver recently underwent a checkup in Miami and was told he was ahead of schedule as he recovers from reconstructive knee surgery. Wayne expects to start running in a month and a half, and he hopes to go "full throttle" in four and a half months. It's an aggressive timetable that could have Wayne ready for the start of training camp in July. "I doubt I'll participate (in OTAs)," Wayne told 1260-AM in Indianapolis on Tuesday. "I got to do it right. Training camp is the goal." Wayne tore his ACL and meniscus during the fourth quarter of a Week 7 win over the Denver Broncos on Oct. 20. The non-contact injury is a major career hurdle for Wayne, who will turn 36 during the 2014 season. The Colts have struggled to fill Wayne's void in the offense. T.Y. Hilton has slumped in the face of increased double-team coverage, though Wayne praised the progress of Da'Rick Rogers, who caught two touchdowns on Sunday. Houston Texans receiver Andre Johnson has a holiday tradition that beats going in debt, purchasing items for people who do not appreciate the gesture, or feeling guilty because you do not have enough money to purchase elaborate gifts. For the seventh consecutive year, Johnson held his annual Toys “R” Us shopping spree for 12 at-risk children in Houston. They were given 80 seconds (Johnson wears No.80) to grab as many toys as possible. Oh, but Johnson did not make the kids wait for a clerk to unlock that glass retail display case with those expensive gaming systems. Instead, Johnson gave each child an Xbox 360 with two games. What was the grand total for Johnson’s shopping spree? Each child chosen for the event has suffered through some sort of parental abuse and is now living with an extended family member. The shopping spree gives them a chance to get away from that reality and live the dream of every child - running through a toy store and grabbing whatever they want. Johnson also reminds us what the holidays should be about for everyone. New Orleans Saints tight end Jimmy Graham visited East Jefferson High School on Tuesday to speak to the football team before practice. Graham encouraged the players to put their best foot forward in all aspects of the game and spoke about the importance of teamwork. Graham surprised the team in its locker room while the players were getting ready for practice. After the players took a photo with Graham, they asked him demonstrate his dunking skills on their goal post. East Jefferson will be competing for the state championship in the LHSAA State Farm Prep Classic on Saturday in the Mercedes-Benz Superdome for the first time in school history. NEW YORK (WFAN) – The Giants are officially eliminated from playoff contention. And with three weeks remaining in the NFL regular season, it’s coming down to the Cowboys and the Eagles for the NFC East crown. After Dallas (7-6) lost to Chicago on Monday night, Philadelphia leads the division by a game. So which team does Giants safety Antrel Rolle think will win the division? The Giants put on an ugly display on Sunday, falling to the Chargers, 37-14, at Qualcomm Stadium. The G-Men were never in the game, as the Chargers led 24-0 at halftime and 31-7 after three quarters. Rolle doesn’t want to hear that the team’s subpar effort had anything to do with having to fly out west. The Giants will host the mighty Seahawks on Sunday before finishing their season against the Lions in Detroit and the Redskins at MetLife Stadium. The U.K.'s Daily Mail has 'em! 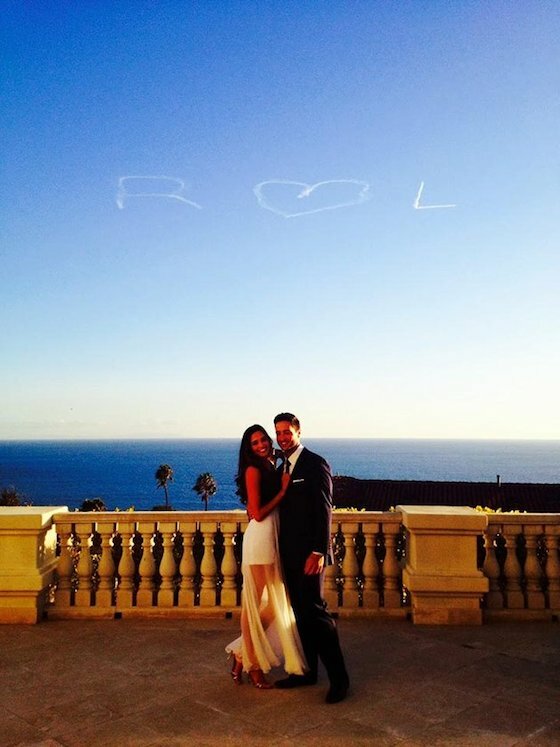 Wedding photos of Milwaukee Brewers slugger Ryan Braun and Larisa Fraser — obviously shot through a telephoto lens at great length by a paparazzi spy. But they're online for your viewing pleasure. Braun and Fraser got married in Malibu, Calif. on Saturday, which surely is a sign that things have turned around for Braun, who has finished his 65-game suspension related to the Biogenesis investigation. LAKE BUENA VISTA, Fla. — Still on the Mets’ wish list this winter is supplementing the bullpen and providing insurance in case closer Bobby Parnell isn’t ready for the 2014 season following neck surgery. The need is more pressing after LaTroy Hawkins agreed to become the Rockies’ closer last month. One option the Mets are considering is former Indians closer Chris Perez, according to a person with knowledge of the club’s thinking. The person requested anonymity to speak freely on the matter. Perez is just 28 years old and a two-time All-Star. He is two years removed from compiling a career-high 39 saves. He recorded 36 saves in 2012 and was one of the sport’s premier set-up men in 2011, posting a 1.71 ERA in 63 games. But 2013 was a disaster. On the field, he had a 4.33 ERA and boycotted the media for nearly two months. Off the field, he and his wife were arrested on drug possession charges on June 4. The Indians released him on Halloween. The combination makes Perez is a possibility for the Mets, who are working with about $15 million for the remainder of the offseason. The Miami Marlins have an interest in filling their open third base position despite the presence of in-house options like Donovan Solano and Ed Lucas. The Fish are looking to upgrade at the position, and according to Juan C. Rodriguez of the Sun-Sentinel, they could be looking everywhere for any sort of solution. The Miami Marlins are looking at anything and everything in their quest to upgrade at third base. Among the options they’re considering: Mat Gamel. In addition to third, the right-handed hitting Harrison also has spent time at second, short and the outfield. Though he doesn’t bring much power to the table, some in the Marlins’ front office find Harrison intriguing. The Marlins are indeed searching high and low for potential options. Outside of two of those players being native Floridians (Gamel is from Jacksonville, Valencia is from Miami and was drafted from the University of Miami), these three players have very little in common. If you are looking for a more defensively-polished player, Danny Valencia may be an option. The former Miami Hurricane played third base primarily in the majors and minors, though he did spend time at first base as well in the minors. He also boasts a career .263/.302/.412 (.311 wOBA) batting line in the majors, making his bat likely better than Gamel's. That line was boosted by 170 plate appearances of excellent ball last season for the Baltimore Orioles, as he hit .304/.335/.553 (.381 wOBA) and hit eight homers in that time frame. Valencia's issue is that, while he has not been moved to first base in the bigs, he may be on his way. He has been a net negative defender in the majors for his career and spent most of last year at DH for the Orioles. Baltimore, however, may still be interested in Valencia at third base, mostly because Manny Machado is still recovering from left knee surgery following a medial patellar femoral ligament tear. The Marlins have discussed a swap for Valencia involving the team's hottest trade commodity, Logan Morrison, but Baltimore seems reluctant to make a move. If the bat is less important than the glove, Josh Harrison may be an option from the Pittsburgh Pirates. Harrison has spent limited time at third base, as he has served as a utility backup infielder for much of his Major League career. So far, he has performed well, logging around 10 runs above average in just a third of a season of play. Of course, that rate is not likely to stick next season, but Miami may be happy to acquire such an effective defender, even if the bat is less than stellar. Harrison has a career .314/.370/.486 (.383 wOBA) in less than a full season in Triple-A, but he looks the part of a utility infielder at the plate so far in the majors (career .250/.282/.367 line). Of the three options listed here, Miami's best bet for production next season would likely be Valencia, regardless of the strangely positive projection for Harrison (.269/.310/.396, .307 wOBA, 1.4 WAR in 350 plate appearances). Miami's best bet for future projection may very well be Harrison, who is the youngest of the three players at age 26 right now. If his hitting improves a little and his defense remains firm, Miami could be looking at a solid lower-tier starter and perhaps even an average or so player under team control for four years. The cheapest option would be Gamel, who is coming off of injury and would cost Miami nothing but free agent money. The Logan Morrison trade looms large over the Marlins and may determine the team's immediate third base future. These are but three options for Miami. Stay tuned for more on Fish Stripes! 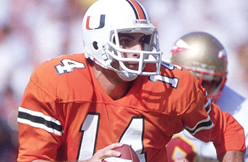 NEW YORK – Miami Hurricanes great and 1986 Heisman Trophy winning QB Vinny Testaverde will be inducted into the College Football Hall of Fame on Tuesday at the 56th NFF Annual Awards Dinner held at the Waldorf Astoria. The 56th NFF Annual Awards Ceremonies will be streamed live beginning at 8 p.m. ET on ESPN3 and footballfoundation.org. 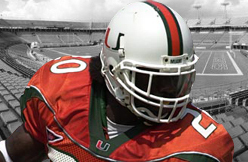 Testaverde will become seventh Miami Hurricane player and 10th overall to be enshrined into the College Football Hall of Fame – Bennie Blades (2006), Don Bosseler (1990), Andy Gustafson (1985), Jack Harding (1980), Ted Hendricks (1987), Jimmy Johnson (2012), Russell Maryland (2011), Gino Torretta (2009) and Arnold Tucker (2008). Testaverde is one of 14 inductees into the College Football Hall of Fame. The 2013 class includes: Ted Brown (NC State), Tedy Bruschi (Arizona), Ron Dayne (Wisconsin), Tommie Frazier (Nebraska), Jerry Gray (Texas), Steve Meilinger (Kentucky), Orlando Pace (Ohio State), Rod Shoate (Oklahoma), Percy Snow (Michigan State), Don Trull (Baylor), Danny Wuerffel (Florida), and coaches Wayne Hardin (Navy, Temple) and Bill McCartney (Colorado). One of the greatest quarterbacks in school history, Testaverde was Miami’s first Heisman Trophy winner in 1986, while also winning the Walter Camp Player of the Year Award, Maxwell Award and Davey O’Brien Trophy. He led the Hurricanes to three bowl berths, including the 1987 Fiesta Bowl, which determined the national champion. Testaverde, who was a redshirt on Miami’s 1983 national championship team, went 23-3 as a starter playing for legendary coaches Howard Schnellenberger and Hall of Famer Jimmy Johnson. Tampa Bay selected Testaverde as the No. 1 overall selection in the 1987 NFL Draft, and his pro career spanned 21 seasons with seven different teams. The 1998 All-Pro and two-time Pro Bowl selection finished his NFL career seventh all-time in passing yards (46,233) and eighth in touchdowns (275). The Elmont, N.Y., native currently resides in Florida where he plays an active role with the Children’s Cancer Center of Tampa. Testaverde remains among only four Hurricanes to have their jerseys retired at Miami. No. 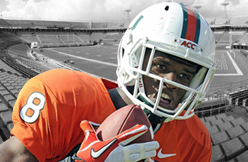 25 Miami (9-3, 5-3 ACC) will play No. 18/16 Louisville (11-1, 7-1 AAC) in the 2013 Russell Athletic Bowl on Dec. 28 at the Citrus Bowl in Orlando. Tickets, which are priced at $77 and $82, can be purchased through the UM Ticket Office online, in-person at BankUnited Center (M-F, 8:30 a.m.- 5 p.m.) or by phone at 1-800-GO-CANES. Since Ed Reed participated in all but two of the Jets defense's plays on Nov. 24 in Baltimore, the 35-year-old safety's snaps have diminished. In the Jets' victory over the Oakland Raiders last Sunday, Reed participated in two-thirds of the Jets' defensive plays -- 46 of 69 plays -- his lowest mark since signing Nov. 14. Nonetheless, Reed secured his first interception of the season, which set up a Jets field goal. True to Rex Ryan's stated desire last week to rotate personnel packages with more frequency, Antonio Allen saw 25 defensive snaps, up from nine a week earlier. The Jets subbed Allen for Reed but also used a three-safety package, with Allen and Reed alongside Dawan Landry. Reserve safety Jaiquawn Jarrett played seven snaps, down from eight a week ago. Reed explained the rotation following Sunday's game: "Coach just wanted to keep a good rotation of safeties, like he has been. We've been doing that honestly since I've been here. They've been wanting to keep a rotation, keep those guys acclimated to what the defense is doing. Like I told them, I'm alright with whatever the defense wants to do. I've played a lot of football, so for me to get a rest at any time it's well welcome, but at the same time you want to compete, you want to play. And I know those guys want to play. We all watch film together so I know they can do it." On the other side of the ball, Kellen Winslow saw a nearly equivalent amount of playing time as he has since Week 12, but his production doubled against the Raiders. Winslow participated in 19 plays -- one-third of the Jets' total snaps -- and caught three of six targets for a team-high 61 yards. Jeff Cumberland participated in 79 percent of snaps, but did not see a pass tossed in his direction. After just two snaps against the Miami Dolphins in Week 13 due to a right hamstring injury, Santonio Holmes participated in 42 of the Jets' 58 offensive plays against the Raiders. Ryan said the Jets had planned not to overwork Holmes' hamstring during the game. David Nelson led Jets wide receivers with 54 snaps. Jeremy Kerley, in his first game since Nov. 3, took part in 27 snaps. On seven of those plays, Geno Smith targeted Kerley, who had four catches, including a touchdown. With Kerley back, Greg Salas' participation dropped from 55 percent to 19 percent. Chris Ivory and Bilal Powell, the Jets' two running backs, split playing time evenly. Ivory got 29 plays and Powell 28. Jimmy Graham had six catches for 58 yards and two touchdowns in Sunday night's Week 14 win over the Panthers. Graham worked the middle of the field against the Panthers' zone defense and took advantage when matched up with Mike Mitchell and Luke Kuechly in coverage. He scored on a five-yard crossing pattern at the end of the first half, and later connected with Drew Brees from eight yards out in the fourth quarter. With the performance, Graham went over 1,000 receiving yards on the season and second time in his career. He'll remain a top-two TE1 in Week 15 against the Rams. Coach Rob Chudzinski said that McGahee suffered a concussion in the fourth quarter of Sunday's loss to the Patriots, the Akron Beacon Journal reports. 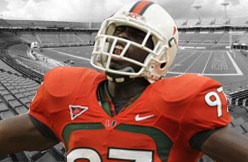 Prior to his concussion, McGahee recorded 14 carries for 33 rushing yards. McGahee's status for Week 15's game against the Bears is now cloudy, with Chris Ogbonnaya and Fozzy Whittaker next up for carries if the veteran isn't cleared in advance of next weekend's contest. Greg Olsen caught eight passes for 40 yards in the Panthers' Week 14 loss to the Saints. With Cam Newton forced to check down all game, Olsen led the Panthers with 12 targets. He was held out of the end zone for the second straight week, but continues to be heavily involved in the passing game. Olsen will be a solid TE1 for the second week of the fantasy playoffs. He'll match up with the Jets, who have been giving up a ton of production to opposing tight ends. DAVIE Dolphins starting tailback Lamar Miller must pass an NFL mandated baseline concussion test before he'll be cleared to return to the practice field this week. Miller, who left Sunday's 34-28 win over the Steelers because of a concussion he suffered in the third quarter, is the second Dolphins player to suffer a head injury the past two weeks. Starting right guard John Jerry suffered a concussion in Miami's 23-3 win over the Jets and missed all but one practice before playing against the Steelers. Miller and the Dolphins must follow the league's protocol, which requires Miller's brain activity to match a baseline sample taken from him before this season. The baseline test will be compared with test results taken after Sunday's injury to help assess the severity, and indicate when the symptoms subside. The Dolphins are optimistic Miller, who leads the team with 567 rushing yards on 142 carries, will be cleared to play in time for Sunday's home game against the New England Patriots. But the season-high 105 rushing yards Daniel Thomas contributed as Miller's replacement on Sunday helps alleviate some concern. "He really stepped up and made some good plays in the game. He did a good job blocking as well," coach Joe Philbin said of Thomas, who played two weeks after suffering what was initially diagnosed as a torn ligament in his left ankle. "He's a hard-working guy." Offensive coordinator Mike Sherman acknowledged that the Dolphins initially thought Thomas' season was over because of the ankle injury, but Thomas has pushed his rehab to the point he was able to practice for the first time last Friday. The Dolphins needed Thomas active because of a pectoral injury Miller was nursing last week. Sherman credited Thomas for being "diligent" in his rehab, but acknowledged that the former Kansas State standout was playing hurt against the Steelers. "There is a certain amount of mental toughness that plays a part in it," Sherman said of Thomas, who has rushed for 384 yards and scored five touchdowns this season. "He wasn't 100 percent but he played as if he was. There's one thing to play with some pain and another things to play well with some pain, and he certainly played well." Thomas' participation in this week's practice could be limited because his ankle isn't fully healed. That could lead to Marcus Thigpen and rookie Mike Gillislee handling a heavier workload in practice if Miller isn't cleared to work during the team's three practices this week. Chris Perez is on site at the Winter Meetings, having face-to-face discussions with interested teams. It's a smart move for Perez, who had a number of off-field incidents in his final couple years with Cleveland. He was released in late October and is now trying to find a spot at the back end of a new bullpen. Perez, 28, posted a rough 4.33 ERA, 1.43 WHIP and 54/21 K/BB ratio across 54 innings this past summer for the Indians. PITTSBURGH -- Miami Dolphins starting running back Lamar Miller suffered a concussion in Sunday's game against the Pittsburgh Steelers and will not return. Miller rushed for 2 yards in the third quarter and was hit hard by Pittsburgh safety Ryan Clark. Miller immediately left the game after that play and was replaced by Dolphins backup running back Daniel Thomas. 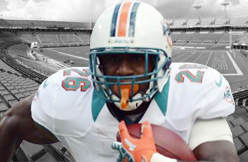 Miller leads the Dolphins in rushing this year with 567 yards on 142 carries and two touchdowns. All week, questions abounded over whether Ed Reed should be starting for the Jets. All week, Rex Ryan said Reed would start unless injured. That move ended up paying off for Ryan in the 37-27 victory over the Raiders on Sunday as the veteran safety picked off Matt McGloin in the second quarter at the Oakland 11-yard line. Reed said he was thinking touchdown on the return, but was tackled at the 4. Four plays later, the Jets had to settle for a Nick Folk field goal. “I just stayed with the guy dragging across ... and he tried to force it, and I made the play,” Reed said. Reed said the recent talk about how much he should be playing had no effect on him. Though Reed did start and Ryan was so steadfast in his support of the future Hall of Famer this past week, the veteran safety actually played less. 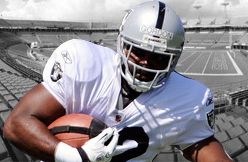 When Terrelle Pryor played quarterback for the Raiders, Reed was mostly replaced by Antonio Allen. Later, Jaiquawn Jarrett subbed for Reed as well. “We knew it would be a physical game, (so) we tried to put some of the youngsters in there to take some of the heat,” Ryan said. It was Reed’s first victory of the season after spending the first part of the year with the Texans. It was also his first interception of the year, allowing him to continue his streak of at least one pick in every one of his seasons. Reed said he was conscious that his interception streak was in jeopardy coming into the game. The Pittsburgh Steelers have activated tight end Matt Spaeth from injured reserve-designated to return, cutting tight end Richard Gordon. Spaeth suffered a foot injury during the preseason. The seven-year veteran was originally drafted by Pittsburgh in the third round of the 2007 NFL Draft and played his first four seasons with the Steelers before spending the past two seasons with the Chicago Bears. Spaeth signed back with Pittsburgh this past offseason. Gordon was inactive for seven games since being signed in October. On the NFL Network Thursday night it was pointed out that proCane Texans WR WR Andre Johnson averages 6 catches per game over his career, the highest average in #NFL history. Johnson had 13 catches for 154 yards in the Texans’ loss to the Jaguars. Johnson also tied an #NFL record with his 10th game of 10 or more catches & 150 yards or more versus the Jaguars. Johnson tied the great Jerry Rice. Look for Johnson to break the record in the not so distant future. FOXBOORUGH, Mass. -- On Thursday, we passed along word that practice squad cornerback Justin Green was being paid at a rate of $10,000 per week, up from the minimum practice squad standard of $6,000 per week ($170,000 over a full season versus $102,000). He's now joined by defensive tackle Marcus Forston and offensive lineman Braxton Cave, who are also being paid the increased rate of $10,000 per week. Forston has played in three games this season, registering three total tackles. He was recently waived from the active roster and re-signed to the practice squad. He's bounced back and forth between the active roster and practice squad since being signed as an undrafted free agent out of Miami following the 2012 draft. Upping the salary of a practice squad player is often a reflection of how the team values the player, and sometimes is motivated by other teams around the league that have interest in signing said player to their active roster. Teams will up the salary of their practice squadders to encourage them to stay put as opposed to departing for another organization; it's up to the player to decide what he wishes to do. With the regular season winding down, some of the teams that are near the bottom of the standings and with an eye towards the future will attempt to sign practice squad players as developmental prospects to work with both at the end of this season and into the offseason. 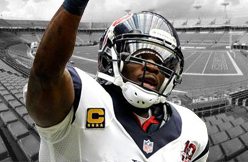 Thursday should have been a good night for Andre Johnson. The Texans receiver became the first player in NFL history to record 20 games with at least ten catches and 100 yards, but instead dealt mainly with the frustration of his team’s plunge from AFC South champions a year ago to 2-11 and potential recipients of the top overall pick in 2014. He should call his college teammate this weekend. 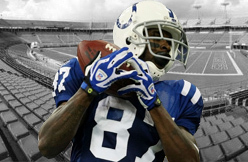 When the Indianapolis Colts’ 2011 season fell apart due to a career-threatening injury to Peyton Manning, Reggie Wayne soldiered through, amassing nearly a 1,000 yard season despite having to catch passes from the likes of Curtis Painter and Dan Orlovsky. As the Colts’ 2-14 season came to a merciful end, Wayne was one of the few veteran constants left on the roster when a new coaching staff and franchise quarterback set up shop the following summer. Andrew Luck’s successful 2012 rookie season happened in part because from day one he had one of the best receivers in the NFL there to guide him along the way. It’s no coincidence that Luck’s 2013 passer rating has gone from 92.75 in his first seven games with Wayne to 71.96 in the past five games since his season-ending injury against Denver. There’s likely a new coaching staff and franchise quarterback, whether that’s Louisville’s Teddy Bridgewater or another elite college passer, on the way in Houston. Johnson, who is signed with the Texans through 2016, will soon have the opportunity to shepherd his team’s turnaround in the same way that his fellow Hurricane did. One thing the 2012 Colts didn’t have in their rebuilding effort was one of the league’s best young defensive players in J.J. Watt. Add a healthy Arian Foster to the mix and it’s not hard to picture a similar upswing. Johnson told reporters after Thursday’s game that he’s tired of losing. If the Texans can emulate their AFC South rivals, that won’t be a worry next year. Andre Johnson gave another record-breaking performance despite the Texans’ 11-game losing streak. In Thursday’s 27-20 loss to Jacksonville, Johnson caught 13 passes for 154 yards. It was the 20th game in Johnson’s career with a game of at least 10 catches and 100 yards receiving, for the most in NFL history. Johnson also tied Jerry Rice, whom he considers “the greatest receiver to ever play,” with the most games of at least 10 receptions and 150 yards. Johnson and Rice both did so ten times in their careers. Johnson’s 100-yard performance against Jacksonville was his sixth this season and the 50th of his career, which ties him with Don Maynard for the fifth-most in league history. Johnson caught just 2-of-4 passes for 14 yards in the first half. When asked what he did differently in the second half to catch the bulk of his passes, Johnson’s response was simple. Johnson ranks as the Texans' all-time leading receiver with 900 receptions for 12,377 yards and 61 touchdowns in 11 eleven seasons. Last week he became the second-fastest player in NFL history to reach 900 receptions, doing so in 150 games. SAN FRANCISCO -- It is difficult to make the case that the Seattle Seahawks and San Francisco 49ers are equals, even after Sunday’s titanic 19-17 Niner win. The 49ers needed to show, well, titanhood to slip past the error-and-penalty-prone Seahawks, but their capacity for titanhood is well established in these parts. In other words, they did what was needed, and in December, that sort of thing almost invariably leads to January. But they don’t have much time left in these parts – just a Monday night game against Atlanta that is sure to muffle the imagination. This game, this monumental struggle against their archest of rivals, was their last truly proud stand in the old firehall, and they stood quite tall indeed. The tallest of all, as it turned out, was running back Frank Gore, who is perpetually ignored because of our fixation on quarterbacks. Gore broke what could truly be called a season-saving 51-yard run late in the fourth quarter, taking muddled field position at the San Francisco 29 with 4:35 left and changing the game into a time-eating exercise that required only Phil Dawson’s educated right leg for completion. But it wasn’t, mostly because of Gore, who remains, with all due respect to the quarterback addiction plaguing our land, the most important offensive player the 49ers have. He sets all other tones, and the 30 yards in 11 carries in the first half coincides with the 49ers’ greatest offensive difficulties. Put another way, he gained 98 more yards Sunday than he did in Week 2, allowing the 49ers to see the difference between getting boatraced and playing their one-score-and-as-many-field-goals-as-you’ll-let-us-have game. The 49ers have produced 14 field goals and eight touchdowns in the last five weeks, which is all well and good for now, but won’t be nearly so entertaining if the January of which they dream takes them through Philadelphia, Dallas, Carolina, Chicago, Green Bay or, you guessed it, Seattle. Thus, you heard a team both proud and apprehensive after Sunday’s game. They had stood up to the baddest bully in the game and bested it – albeit by two-thirds of a field goal. But they had to exert maximum effort to do so, and Seattle’s opponents this year are 2-8 the next week. In other words, this was fun, and when we say fun, we mean almost no fun at all. The difference? This time, the work was done in the 49ers’ most comfortable settee. The next time, if there is one, it will be done on the NFL’s version of a wet, uneven concrete bench that sits low so your feet end up in a foot-deep puddle of wet mud. In other words, Century Link Field. Hell’s Waiting Room with nachos and Seattle’s Best Coffee at every stand. The 49ers’ next goal may be the Tampa Bay Buccaneers, but what they really want to know is if they can stand up to the hell, the nachos and the coffee. Britt Ghiroli of MLB.com reports that the Orioles could be interested in free agent closer Chris Perez. The O's have set to the open market in search of a closer after dealing Jim Johnson to the A's, and Perez can be added to a list of possible candidates that already includes John Axford. The 28-year-old struggled in his final season in Cleveland, posting a 4.33 ERA, 1.43 WHIP and 54/21 K/BB ratio over 54 innings. Jemile Weeks: "This is probably the best thing for me at this point"
Jemile Weeks is trying to learn as much as he can about Baltimore before joining his new teammates at FanFest and in spring training. But he's going to need more time. "All I've gotten so far is Charm City and the Birdland thing that's going on," he said last night during our phone conversation. "I've still got to go out and explore the city." The trade that unfolded Monday night is still fresh, and Weeks joked that he was doing his best to answer my questions and be as helpful as possible despite his limited knowledge of the city, the circumstances, the details. For example, he has no idea what number he'll be wearing or whether he's going to compete for the starting job at second base. And yes, I asked in that order, because the number thing is a big deal to some folks. "I got the call and I've just been thanking the man above and being thankful for the opportunity. I don't know much beyond that," he said. "I'm not sure what my role is. We haven't talked about it yet. Anybody who knows me knows I go out there and play as well as I can and try to be the best player I can be. No matter what my role is, they're going to get the same type of effort out of me regardless. It doesn't really concern me what my role will be. I'll just go out there and be the same player." The Orioles are counting on a better version. Weeks had a strong rookie campaign, batting .303/.340/.421 with 26 doubles, eight triples and 22 stolen bases in 97 games, but his production slipped so badly, he played in only eight games for the A's this season. "This is probably the best thing for me at this point," he said. "Hopefully, I'll make the most of it. I'm definitely looking forward to it." Asked why he hasn't been able to duplicate his rookie success, Weeks replied, "There are a number of things that I could say - this didn't go right or I tried to do this and tried to switch things up. But it all boils down to everything happens for a reason. I learned a lot from it and I think I'll be much better for it going forward. I hope Baltimore enjoys it." Weeks is in Orlando, where he got the news of the trade that sent closer Jim Johnson to the A's - a trade orchestrated entirely by executive vice president Dan Duquette. "I talked to my agent and heard there may have been things in the works as far as a trade, but I really didn't know about Baltimore and how the A's were about to pull the trigger. I had no idea," Weeks said. "It kind of caught me by surprise. Obviously, it was late on Monday, about 11-something. It caught me off-guard. "I think that's why I was shocked as much as I was. I've never been through the process before. I've never seen it done, with my brother (Rickie) in Milwaukee for so long. It's just one of those first-time things. I think it's going to be a learning experience, but I also think it's a good fit for me." Weeks knows that he's replacing a popular player, one whose departure has upset some Orioles. "I honestly think it's one of those things where, when a move is made, you just have to go in there and be yourself," said Weeks, who's friends with Danny Valencia from their days at the University of Miami. "Just be a good teammate, be nice to everybody, and be hungry to play. As long as that's accepted, there won't be any lingering problems for me or anything." CHICAGO - The Chicago White Sox have outrighted infielder Mike McDade and outfielder Blake Tekotte to Class AAA Charlotte. Tekotte, 26, hit .226 (7-31) with one home run and two RBI in 20 games over three stints with the White Sox in 2013. He also appeared in 76 games with Charlotte, batting .236 (70-296) with 27 doubles, three triples, four home runs, 33 RBI and 32 runs scored. 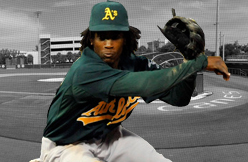 McDade, 24, split last season between Class AAA Columbus in the Cleveland Indians organization and Charlotte. He combined to hit .250 (107-428) with 22 doubles, 10 home runs and 53 RBI over 115 games. 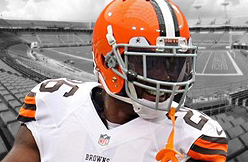 McDade was claimed by Chicago off waivers from Cleveland on May 7, 2013. Following the moves, the White Sox 40-man roster is at 37. The Biogenesis fiasco that created an enormous black cloud over Major League Baseball in 2013 has all but blown over, except for the soap opera that continues to swirl around Alex Rodriguez. But I know a lot of fans who are upset with the huge contracts thrown at these “cheaters” after they served their time. As we all know by now, the St. Louis Cardinals needed a shortstop and Jhonny Peralta was available, cashing in on a four-year, $52 million deal. Nelson Cruz is likely to get an even better package because he hits long home runs. Both Dominicans are veterans with strong work ethics. So, only God knows why they would be tempted to experiment with PEDs, unless this was an ongoing habit over several years. Certainly, the former ACES clients had an in-house connection that gave them access to whatever they needed. And it has been documented that the vast majority of players who were busted had ties to that agency. I mentioned before that all the condemned players besides Ryan Braun were Latinos, and many of these guys believed certain banned substances sped up the healing process after injury. Many are insecure about their careers and worry about getting released and sent home. A case in point was that of Francisco Cervelli of the New York Yankees, the catcher who is in line to back up newly acquired Brian McCann next season. Over the last three years, the energetic Venezuelan has played only 63 games for the Bronx Bombers, spending most of his time in the minor leagues or on the DL shelf. During that period of time, Cervelli has suffered a broken foot, numerous concussions, a fractured right hand and an elbow issue. “I’ve felt many times in my career that I was going to lose my job,” admits the 27-year-old receiver, who says he was looking for a “quick fix” when he visited Tony Bosch’s clinic. Nicaragua’s Everth Cabrera, the shortstop and lead-off hitter for the San Diego Padres, has a similar story to tell. Frustrated with nagging injuries, Cabrera tinkered with remedies Bosch had sent him. Later, he tearfully told teammates in English and Spanish that he had made a mistake. But mystery still surrounds Yasmani Grandal, another Padres player who teased fans with his ability in 2012, only to fail a urine test for excessive levels of testosterone. He was suspended on November 7, 2012, and sat out the opening 50 games last season. At age 23, the Cuban-American became the youngest major league player ever nailed for PED use. Ironically, Yasmani Grandal was one of the hottest hitters in the National League the summer of his rookie year, only to be sidelined on July 31 with an oblique strain. I bring up Grandal because he’s a Latino player who falls into that “gray area” of PED use. I saw the kid play on numerous occasions as a collegiate star at the University of Miami, and marveled at his leadership skills and how he had a rare “feel” for the game. 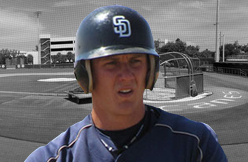 Not surprisingly, Grandal was the 12th overall pick in the 2010 amateur draft by the Cincinnati Reds and inked a major league contract with a signing bonus of nearly $3 million. That would make him secure for life with no worries about his future. And the injury that kept him sidelined for about three weeks was nothing to fret about either, although oblique problems can become menacing. Since his suspension, however, Grandal has been hit with a serious case of bad karma. Before spring training began last season, Grandal apologized to his Padres peers in a closed-door meeting that seemed to clear the air. His friend, Yonder Alonso, San Diego’s promising first baseman and a former “U” alum, seemed satisfied. “It’s hard right now, but I know he’ll get through this and eventually clear his name,” said Alonso, who like Grandal moved to Miami from Cuba as a child. Nick Hundley, the Padres veteran catcher who previously lost his job to Grandal, didn’t seem impressed when he spoke to the media. “You want to talk about a guy who is unproven and had a couple of good months on steroids, (then) go ahead,” Hundley snapped at the local press. Indeed, Yasmani Grandal did not live up to his previous hype last season, neither at the plate or behind it. Coming off a short minor league stint following his suspension, the switch-hitting phenom failed to find his stroke and had trouble throwing out runners on the base paths. Then on July 26, just when he was coming out of his funk, Grandal sustained a season-ending injury to his right knee blocking the dish in a collision with Anthony Rendon of the Washington Nationals. The result was ACL reconstructive surgery and a long period of recovery. Yasmani, to his credit, has accepted all the misfortune and remains cocky and confident that he will be ready next spring. If Grandal is good to go as promised, it presents an interesting situation for Padres GM Josh Byrnes going into the winter meetings. I wonder how it will affect the San Diego clubhouse if Hundley again takes a back seat to Grandal and two begin to get chirpy. The 30-year-old Hundley has underperformed during a handsome contract that will end after next season, although there is an option open for 2015. On the other hand, there are those secretly wonder how long Grandal has been juicing during his career, and if he is really the player everyone expected. Padres manager Buddy Black has tried to dismiss those notions. It should be mentioned, though, the Padres have a home-grown catcher, Austin Hedges, who will likely be varsity-ready by 2015, which means either Grandal or Hundley will eventually have to clean out his locker. The outcome would seem to favor the younger Grandal, who is under team control through 2018. And moving Hundley and his salary of $4 million would give Byrnes more wiggle room to trade for a more useful player who could drive in runs. The bottom line is how much do the Padres believe in Yasmani Grandal? The subject remains open for debate.